Making the right choices is pure and simple when it comes to purchasing this line of chic "green" furniture by interior designer Ami McKay, appropriately named PURE. "Green" furniture is not just about the color, it’s about having the integrity to invest in what goes behind the making of furniture and following basic principals that support the sustainability and health of the planet (and its inhabitant's!). 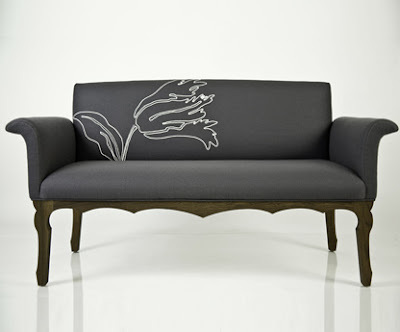 McKay, hailing from British Columbia, envisioned a line of environmentally sustainable furniture after noticing that the market was lacking elegant and stylish design to fulfill the needs of her own clients, and thus was born PURE. Realizing that many of the materials used in standard furniture destroyed our ecosystem, PURE was created with the utmost commitment to sustainability while never losing its passion for producing heirloom quality furnishings built to last. All the pieces of the line are crafted by skilled Canadian artisans utilize the finest sustainable materials available. Everything that is made by PURE is biodegradable, and incorporates non-emitting finishes as well as Eco-friendly internal materials and certified woods. The fabrics used are also earth friendly - including textured linen blends and wools in both soft heathery hues and bold colors to choose from. 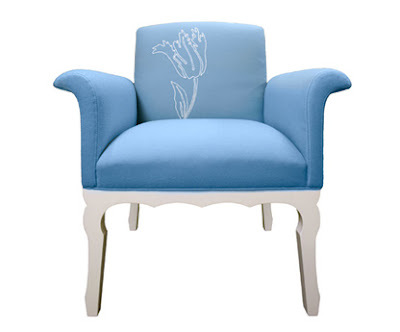 Pure offers customized designed embroidery as an added decorative touch for an upcharge which can be sewn onto the upholstery for a fun sophisticated look of whimsy and elegance. PURE also offers four different collections worth browsing through and is available through designers and architects in the U.K. and U.S.
Ami McKay has given the Eco-conscious consumer a truly hip and modern line of furniture that lends itself well to a multitude of design aesthetics's...making it exciting and easy to be conscious chic. 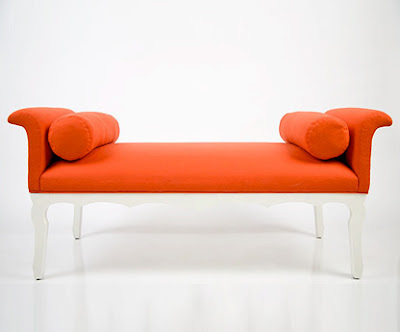 Conscious Chic is written by contributing writer Laura Dichtl, President of La Peruse Interiors. Laura is a respected interior designer with over fifteen years experience working with high end residential and business clients in the East End (Hamptons), North Shore Long Island and New York City. Laura's inspired environments have earned her a reputation as a design and life-style expert. Her work has been featured in numerous magazines including Hamptons and HOME Magazine's. Conscious Chic by Laura Dichtl covers the best in "style" for the conscious consumers.